THE MAGNIFICENT MINIATURE SCHNAUZER ROCKS! 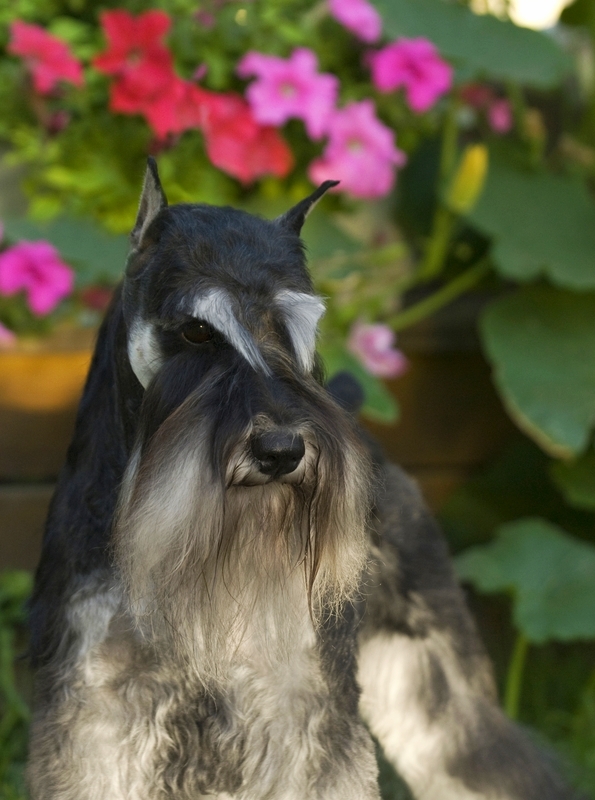 The magnificent Miniature Schnauzer has been a popular breed for years in this country. There are many good reasons for this. They are a member of the terrier group. The majority of terriers are durable little dogs compared to the delicate members of the toy group. Miniature Schnauzers are great to raise with young children. The word schnauzer in German means “muzzle”. Theirs is as strong as an ox. They have a mind of their own but are as solid as a tank. They are small, averaging about 15 pounds, but fearless. They will take on an animal much larger than themselves. If you own a member of this breed there is no need for an alarm system. That shrill, ear-splitting bark will announce even the falling of one leaf from a tree. Someone at the door? The Schnauzer will let you know before the doorbell is rung. 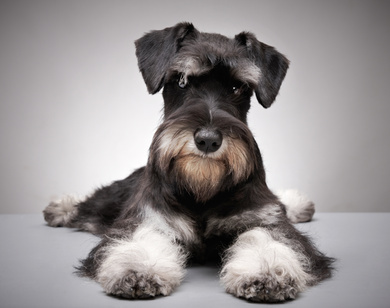 The magnificent Miniature Schnauzer originated in Germany in the 19th century. They were ratters. This job requires a lot of stamina and strength; something the Miniature Schnauzer has in spades. They are similar to the West Highland Terrier in disposition. Both are excellent ratters. The difference is that the Schnauzer’s tail is cropped short while the Westy’s tail is not. The Westy’s tail is as strong as steel. If they got stuck in a hole the owner would pull them up by the tail! Miniature Schnauzer dogs, like the majority of terriers, are hypoallergenic dogs. They do not shed and make great family pets for people allergic to dog dander. Allergies to pets are not caused by the hair but by proteins in the saliva (allergens) deposited on the hair by licking its coat. These fly in the air and produce an allergic reaction in a sensitized individual. The magnificent Miniature Schnauzer is adaptable to any type of environment. They would do well in a: city, suburban or rural environment. The only thing they ask is not to be left alone without human companionship. Leave a Miniature Schnauzer for a few hours and you will be greeted by a cacophony of yelps and cries when you return. This is a breed of dog that wants to be human so badly. That type of vociferation is almost trying to emulate human speech! Miniature Schnauzers come in several different shades. The most common is the salt and pepper variety. The other popular color is black. I have personally owned both types. I have taken care of many of them over the years and have noticed that the black schnauzer is a bit more docile than the salt and pepper. Docile as a Golden Retriever? No, but relatively speaking- yes. Coat color and personality often run together in the gene pool of life. Owning a magnificent Miniature Schnauzer that looks like the picture prefacing this article requires a tremendous amount of work. They require a lot of grooming even though they do not shed. The eyebrows have to be cut just right and the hair-coat is sculpted in such a way that will turn any head. For this reason, many owners will shave the dog down and let the hair-coat fill in. There is still a problem to deal with and it is the beard. It accumulates food particles and moisture and gets tangled. They hate to have the beard combed. Most Miniature Schnauzers will have a rust color to their beards and or front paws. This is due to the action of a protein in the saliva that causes the hairs to take on a rust color. The Miniature Schnauzer is generally healthy but is one of the top breeds to develop urinary tract stones (calculus). As a preface to urinary stone develop they often develop bacterial urinary tract infections. Because the urological system causes so many problems in this breed I recommend that all Miniature Schnauzer pups be taught EARLY to drink water that has been adulterated with a teaspoon or two of cranberry juice. It is a natural urinary acidifier and will maintain an acidic urine pH to prevent the majority of bladder infections and stones in the first place! I say magnificent Miniature Schnauzer and I mean it. But what is not magnificent is its affinity for eating garbage. They will basically eat anything. Make sure you elevate the trash can so the animal cannot get to it. One of the common diseases seen in this breed is Diabetes mellitus. 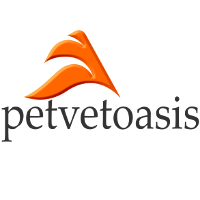 Schnauzers will often develop this disease after ingesting garbage or spoiled foods. That sets up a bout of pancreatitis which then depletes insulin production leading to clinical signs of diabetes. Older Miniature Schnauzers often develop Canine Cushing’s Syndrome, a pituitary or adrenal gland problem that causes signs similar to Diabetes mellitus. Older Schnauzers also develop congestive heart failure. They are one of the top breeds that develop “sick sinus syndrome“. This condition also occurs in humans. There is a faltering of electrical conductivity between the two nodes of the heart. This is sort of like an electrical short circuit! The treatment is the surgical placement of a heart pacemaker. The Miniature Schnauzer does have certain medical conditions that you have to be aware of but you cannot beat the loyalty and almost human-like personality of the breed.